2011 marks 400 years since the production of the King James Authorised Version of the Holy Bible. 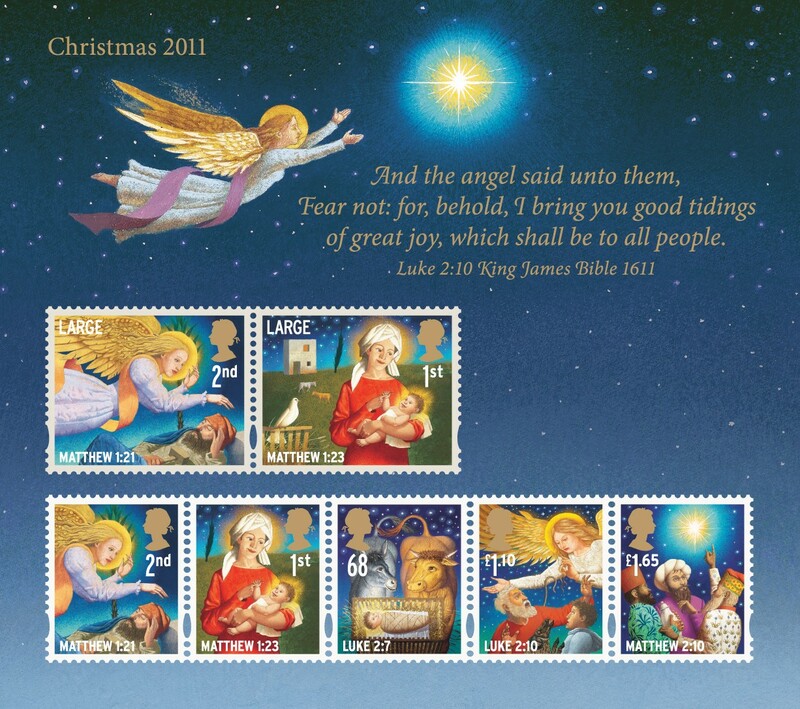 The Christmas stamps this year commemorate that anniversary. More details on our website soon. The miniature sheet is, as usual, conventionally gummed. The stamps will be issued in individual sheets of 25 self-adhesive, and the 1st & 2nd letter stamps will also be in booklets of 12.